Manila, Philippines – Veteran lawyer, and former diplomat Atty. Josephus Jimenez on his The Freeman article discussed the vital lessons from former chief justice Maria Lourdes Sereno’s debacle. As a lawyer like himself, Atty. Jimenez said that it is every Filipino lawyers’ dream to ascend into the sacred halls of the high court, but it is a different story when you do not have experience at all, like Sereno. 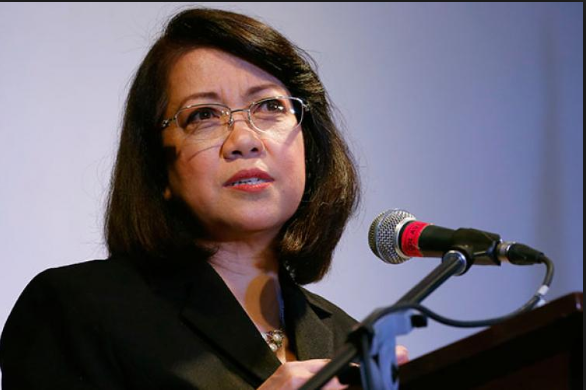 “A young and inexperienced law professor from UP, Maria Lourdes Sereno, was given too much blessings too soon by a president who was showing one and all that he could appoint anyone that he wanted, provided he or she has the bare minimum qualifications.” Atty. Jimenez said. Atty. Jimenez has urged the public to reflect seriously on the lessons that we should have learned from this career disaster. As for the first lesson, be humble and friendly, especially if you do not have the experience and the right attitude to become one of the justices. “First lesson: if you feel that you are qualified, but you do not have the experience and the temperament of a jurist, you need to be humble and friendly. The inexperienced appointee should have the humility to seek the wise counsel of the seniors in the court. That appointee should not isolate herself but must exert extra effort to earn the respect of the peers. If she is the Chief Justice, she must be consultative, and must listen to the more experienced members of the Court. After all, the High Tribunal is a collegial body. The problem with Sereno was that she was too proud and arrogant in the use of her powers and she never lifted a finger to build strong alliances.” Atty. Jimenez said. As for the second lesson, Jimenez said that when you are lucky enough to receive such rare blessings to occupy the fifth highest position in the country, you have to at least avoid conflicts with your colleagues. “The third lesson: when the appointee already violated lesson number one and lesson number two, she must be very sure that she has neither violation of any law nor deficiency in the requirements for appointment.” The lawyer added. “I strongly believe that failure to file a SALN is not really a very, very serious offense. It could be a mere lapse of memory or error in judgment. Had Sereno built a strong relationship with her peers, such lapse could have easily been forgotten or ignored. But she behaved as if she can stay forever and as if she was indispensable and impregnable.” Atty. Jimenez said.